“What would you say is the most important thing you’ve gained from this ethics course?” the assistant chemistry professor asked her mixed audience of chemistry, bioengineering, molecular biology, and neuroscience graduate students. “It’s a bit scary how much we rely on an honor system in order to root out scientific fraud,” I recall saying, three years ago. One of the most exciting prospects of biological inquiry lies in its potential to explain the peculiarities of our own lives. Human behavior provides some of the most spectacular examples of the output of a fundamentally biological system, the brain, but despite decades of remarkable research spanning the scale of neurotransmitters, to brain hemispheres, to interactions on the internet, we struggle to firmly explain the biological (and environmental) underpinnings of any given human behavior. Luckily, some of our behaviors aren’t exclusive to our species. Chimpanzees seem to mourn the death of family members. Ants are capable of organizing into social hierarchies that eerily resemble human social structures. Even the lowly fruit fly, Drosophila melanogaster, goes through bouts of light and heavy sleep that resemble human sleep cycles. All these examples suggest that the biology of behavior might be conserved in the same way that many genes are conserved from fly to human, and hint that perhaps the same genes control similar behaviors in wildly different organisms – a hint that tantalizes scientists to this day. 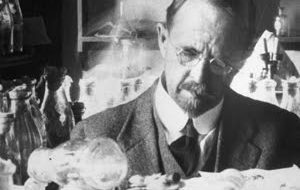 A century ago, when the fruit fly was popularized as a model organism by the lab of Thomas Morgan, these similarities were fairly well-appreciated, but tools for manipulating fly genetics and observing fly behavior were lacking. Fifty years later, researchers were better-prepared to manipulate the fruit fly genome, thanks to advances made in prior decades with mutating the fly genome with x-rays. In 1963, a researcher at Yale named Kulbir Gill used this technology to create mutant flies that lacked the typical behavioral program ensuring male pursuit of female partners for reproduction. These mutant male flies courted male and female partners equally, and utterly failed to reproduce. Gill dubbed this mutation ‘fruity,’ a less-than-appropriate pun on the fruit fly and its mating strategy, but limited his observations to a short note in a fly journal, declining to investigate further. Although philosophers and scientists have mused over the relationship between mind and body for millennia, modern research on the workings and dysfunctions of the mind has tended to focus on the central nervous system (CNS), composed of the brain and the spinal cord. If something is going wrong with behavior or thought, it follows that the problem likely stems from some anomaly in the CNS, which itself drives behavior and thought. Autism, depression, and anxiety disorder are but three of hundreds of poorly-understood conditions that have been predominantly studied through the lens of the CNS, to nearly no avail. But a growing minority of researchers and medical practitioners is finally making serious headway into developing treatments for some of these maladies, by zooming out from an exclusive focus on the CNS, and shifting the spotlight to the lesser-appreciated, so-called ‘second brain’: the gut. At first glance, the gut, which is regulated by a large collection of neurons known as the enteric nervous system, has little to do with one’s mental state. Sure, your appetite reflects some interplay between your conscious tasty wants and your subconscious nutritional needs, but beyond digestion, why would the state of the stomach affect the state of the mind? Give it a few more seconds to sink in. Shouldn’t take long. I know I’m not the only person who gets moody and distractible when he’s underfed. Put my digestive system into a state of panic, and you might as well have set off a figurative fire alarm in my brain. Psychiatrists themselves have long noticed that their patients often suffer from gastrointestinal problems. With the advent of biological psychiatry in the mid-20th century, however, psychiatrists overwhelmingly turned to psychiatric drugs to treat their patients. Yet none of these drugs proved to be a panacea for their intended conditions, and the need for reliable psychiatric treatments has remained, if not grown. Millions of psychiatric patients continue to under- and over-eat, or spend days constipated or on the verge of diarrhea or vomit, to say the least of what might happen if your gut were to malfunction. Moreover, the enteric nervous system contains more neurons than your spinal cord, and produces 95% of the serotonin, and 50% of the dopamine, found in your body. Both serotonin and dopamine are neurotransmitters better known for their roles in the brain, and for their associations with mental illness – perhaps the presence of neurotransmitters in both the brain and the gut is more than coincidence, just like the comorbidity of mental illness with GI dysfunction. 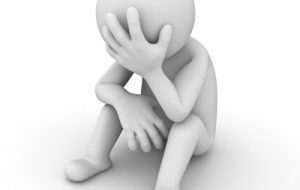 Clinical depression, formally known as major depressive disorder, is one of the most prevalent mental disorders worldwide, affecting 350 million people worldwide, including a whopping 17% of the population of the United States. Perhaps unsurprisingly, Americans spend $10 billion per year on nearly 260 million prescriptions for anti-depressant drugs such as Prozac and Zoloft, which are heavily marketed on television as useful treatments for “chemical imbalances” that supposedly underly depression, despite the dearth of scientific evidence to support these claims. The market for anti-depressants is second only to the market for statin drugs, which treat high cholesterol and heart disease, but unlike with statins, there is ongoing controversy regarding the effectiveness of modern anti-depressants. These anti-depressants, which today are comprised primarily of selective serotonin reuptake inhibitors (SSRIs), seem to be equivalent to placebo for mild to moderate cases of depression, according to meta-analyses (1, 2) of the clinical trials used to win FDA approval for these drugs in the past couple decades, although it should be noted that the debate over SSRI efficacy is far from settled. When I woke up this morning, having failed to crystallize on paper my scientific mulling over the weekend, I was prepared to write about the ongoing, inherent failure of science to always produce the ‘right’ answers to big questions. For decades, biologists have struggled with low rates of replication of important findings. Meta-analyses of the literature on cancer drug screening, the identity of cancer cell lines, the efficacy of ADHD drugs, the replicability of genetic association studies on disease, and even the choice of statistical tests used in major journals to prove the importance of scientific claims, have broadly demonstrated that while science eventually finds the right answers, a whole slew of initial claims (which are the most widely reported by the media due to their novelty) eventually turn out to be false. Despite all this, scientists continue to slave away at the bench, hopeful that they might someday make a worthwhile contribution to the body of human knowledge. Moreover, the public gets its science information from such watered-down (but inspiring) ventures as I F*cking Love Science, but as a recent piece by John Skylar beautifully argued, our society appears to have a superficial love for pretty scientific pictures, as opposed to a true appreciation of the time, effort, and funding required to make this research happen. I felt uninspired, frustrated, and tormented by the conclusions these trains of thought led me to. Science is underfunded, often wrong, and even disbelieving of itself. And here I am, halfway through my PhD program, insanely determined to stay the course. But all it took was two groundbreaking studies in fields that I am keenly interested in to fan the flames of my scientific passion and remind me why I do this. Bench science might resemble cooking, but as all scientists know, even the most methodical bench science only results in haute cuisine once in a blue moon. Nevertheless, we scientists live for these blue moons. Here are two recent, nearly coincident blue moons that reminded me why I f*cking love science. Lobster is one of the most prized meats in American cuisine, a delicacy that has retained its status as a luxury good in spite of its recent overabundance in wholesale markets. Nevertheless, controversy over lobster welfare along the sea-to-dinnerplate pipeline has simmered for decades. While chicken breasts and beef cuts are prepared out of the immediate view of the public eye, any average Joe can walk into a seafood market, pick out a live lobster, and prep the animal at home using a practice that can make even the most hardened meat-eaters squirm—by boiling the lobster alive. In Consider the Lobster, arguably the most popular account of this dilemma, essayist David Foster Wallace fails to reach any conclusion regarding the morality of this practice, ending his argument with a warning to both lobster naysayers and enthusiasts to keep the peace in a debate riddled by slippery-slopes along both scientific and moral lines of reasoning. Given these uncertainties, I felt a mixture of bemusement and skepticism when I stumbled upon the headline, “Experiments reveal that crabs and lobsters feel pain,” on the Nature News Blog earlier this month. At face value, experiments on lobster pain might seem unnecessary, because lobsters tend to thrash around when dropped into boiling water, an easily recognizable sign of distress. The real debate then rests on the distinction between the sensation of a noxious stimulus, formally called nociception, and the “aversive sensation and feeling associated with actual or potential tissue damage.” In other words, we need to articulate the difference between pain and suffering. While this distinction may appear semantic, studies in humans have shown that the reflex to withdraw a hand from a painful stimulus actually precedes the experience of that pain, illustrating that nociception and pain are likely distinct. This is complicated by the fact that the words ‘nociception’ and ‘pain’ are often used interchangeably, even in the scientific literature. The headline tackles this controversy head-on—either something groundbreaking has been achieved in our ability to assess the emotional components of pain in crustaceans, or the Nature blog was overstating its claims.